New World Library, 9781608686155, 288pp. 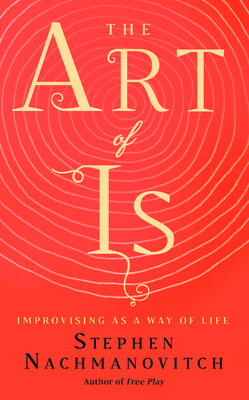 "Stephen Nachmanovitch's The Art of Is is a philosophical meditation on living, living fully, living in the present. To the author, an improvisation is a co-creation that arises out of listening and mutual attentiveness, out of a universal bond of sharing that connects all humanity. It is a product of the nervous system, bigger than the brain and bigger than the body; it is a once-in-a-lifetime encounter, unprecedented and unrepeatable. Drawing from the wisdom of the ages, The Art of Is not only gives the reader an inside view of the states of mind that give rise to improvisation, it is also a celebration of the power of the human spirit, which -- when exercised with love, immense patience, and discipline -- is an antidote to hate." An improvisational violinist and the author of the classic work Free Play, Stephen Nachmanovitch, PhD, performs and teaches internationally at the intersections of multimedia, performing arts, ecology, and philosophy.